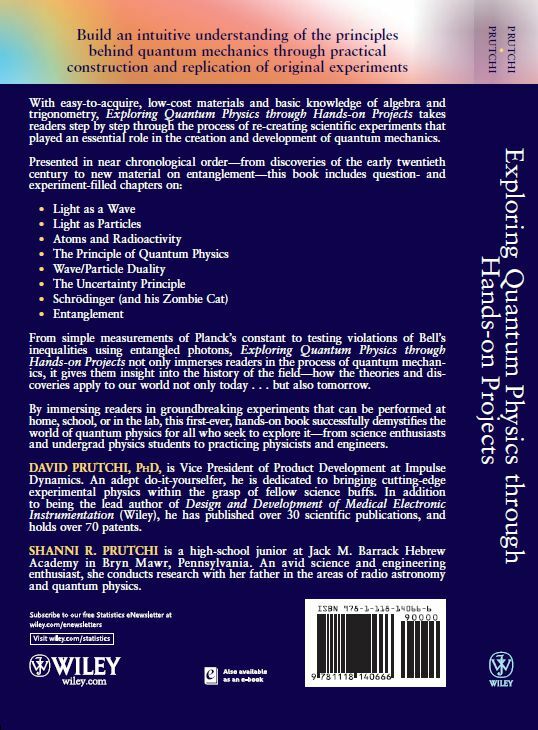 Build an intuitive understanding of the principles behind quantum mechanics through practical construction and replication of original experiments. 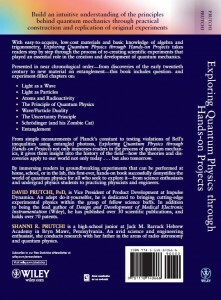 By immersing readers in groundbreaking experiments that can be performed at home, school, or in the lab, this first-ever, hands-on book successfully demystifies the world of quantum physics for all who seek to explore it—from science enthusiasts and undergrad physics students to practicing physicists and engineers. DAVID PRUTCHI, PhD, is Vice President of Product Development at Impulse Dynamics. An adept do-it-yourselfer, he is dedicated to bringing cutting-edge experimental physics within the grasp of fellow science buffs. In addition to being the lead author of Design and Development of Medical Electronic Instrumentation (Wiley), he has published over 30 scientific publications, and holds over 70 patents. SHANNI R. PRUTCHI is a high-school junior at Jack M. Barrack Hebrew Academy in Bryn Mawr, Pennsylvania. An avid science and engineering enthusiast, she conducts research with her father in the areas of radio astronomy and quantum physics.